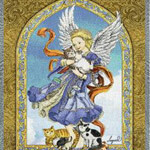 Beautiful Angel with Cats blanket can be sent to a person who loved cats and is now in heaven surrounded by feline friends.. A wonderful memorial keepsake for the cat lover. 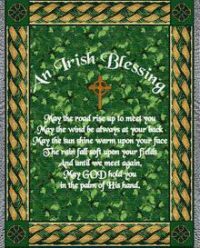 Blanket bereavement throw handwoven in USA. Please let us know in the “notes” block in checkout how you would like your card signed. Online ordering is for shipping to a family’s home. Not for delivery to a funeral home.